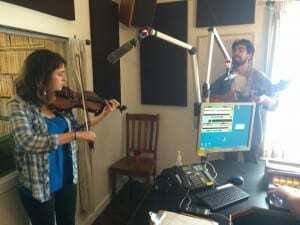 We were lucky enough to have live music by Lauren Tronick and Raph Shapiro on Trail Mix, June 26th. They wove their beautiful harmonies with the violin and acoustic guitar to make a very memorable performance. If you missed it, you can watch the videos by Kendall Rock, or listen to the recorded performance and interview!